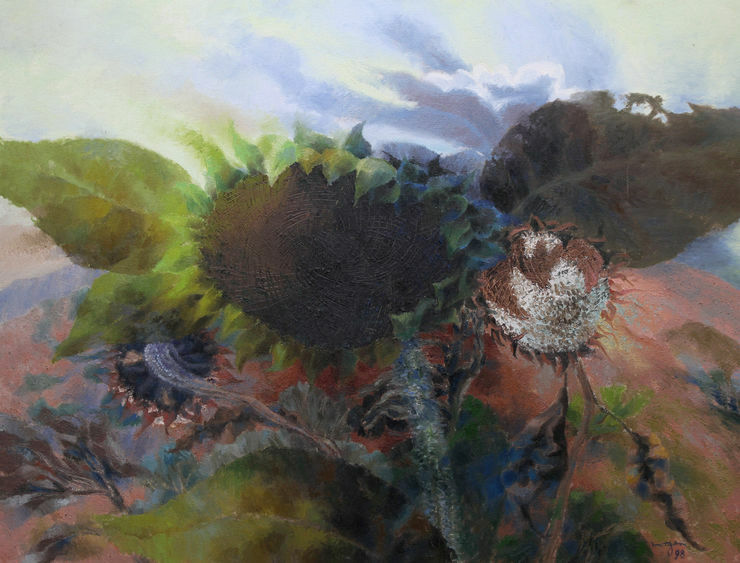 Richard Taylor Fine Art present a collection of works by Glyn Morgan. Many of the works have never been offered for sale before. A Welsh artist, Morgan studied at Cardiff College of Art under Ceri Richards. He was a renowned imaginative artist and friend of Cedric Morris. His work hasn't previously had the recognition it deserves. He was influenced by the Benton End artists as well as Greek mythology, music and the landscape. His earlier Post-Impressionist work was influenced by Cezanne and Bonnard. This piece is a stunning large vibrant oil on canvas.